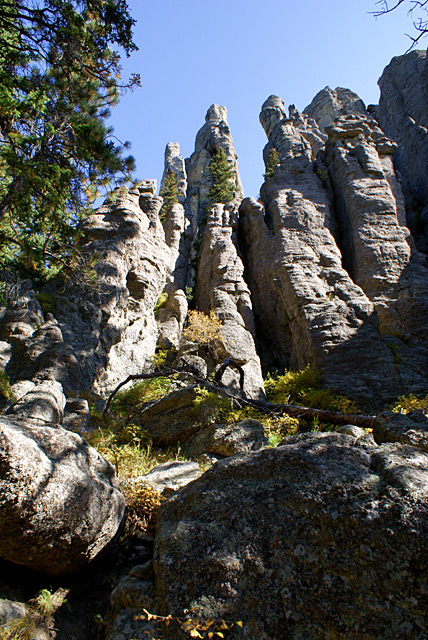 This includes pictures from Spearfish Canyon and the Black Hills area. See also Badlands and Wind Cave National Parks. On the Cathedral Spires trail in Custer State Park. 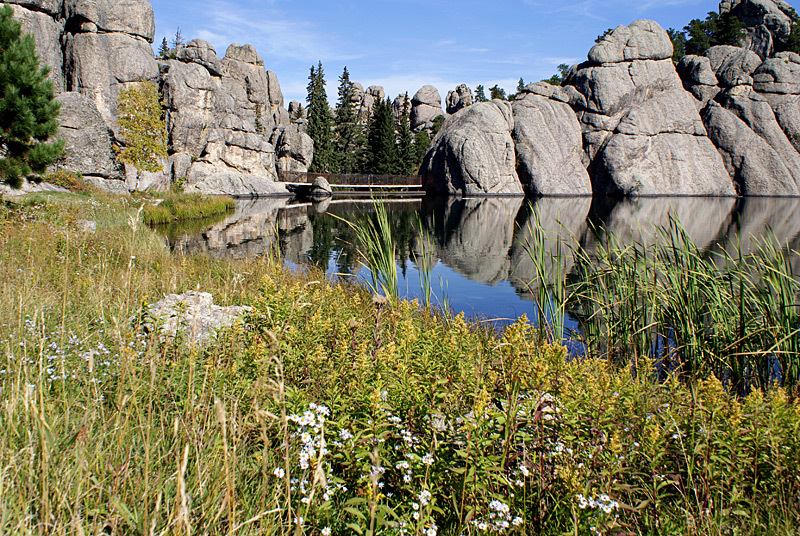 Sylvan Lake in Custer State Park. An easy, beautiful trail takes you around the lake and can be extended to include the more strenuous Sunday Gulch trail. 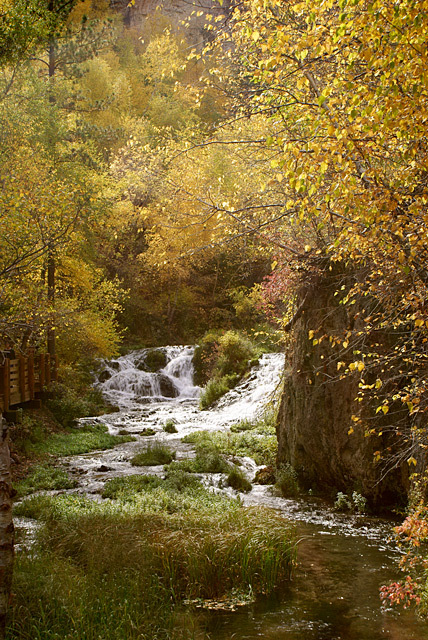 The base of Roughlock Falls, accessed using the Spearfish Canyon Scenic Byway. 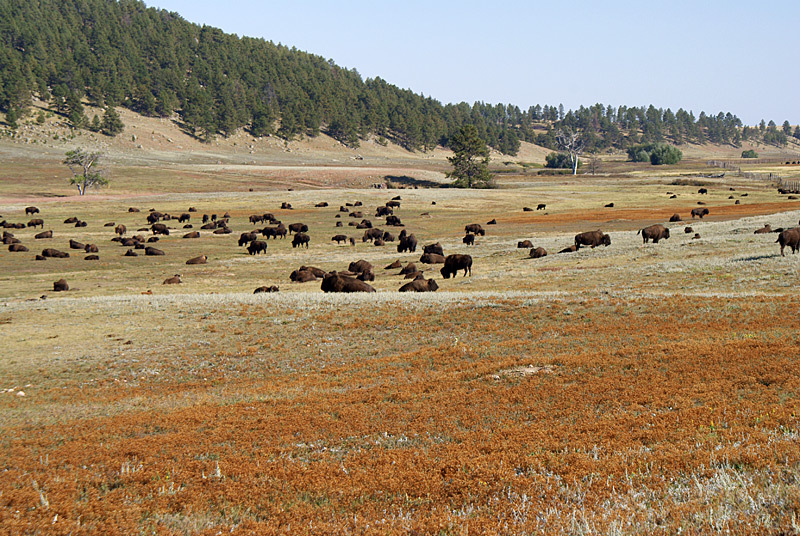 A herd of Buffalo near the south border of Custer State Park. 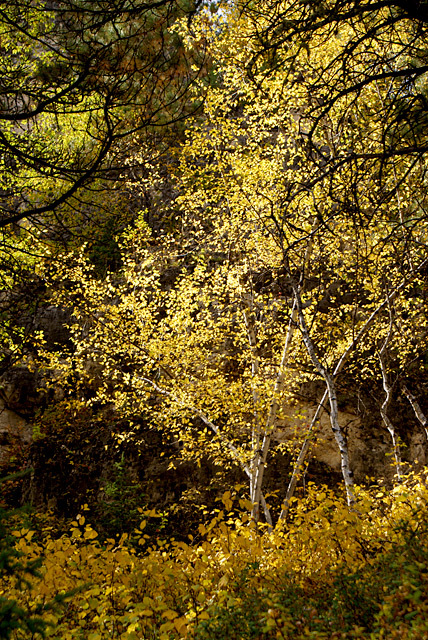 The golden glow of aspen about half-way up the short but very steep 76 Trail on the Spearfish Canyon Scenic Byway. The overlook at the Breezy Point picnic area is just a 5 minute drive from Mount Rushmore. 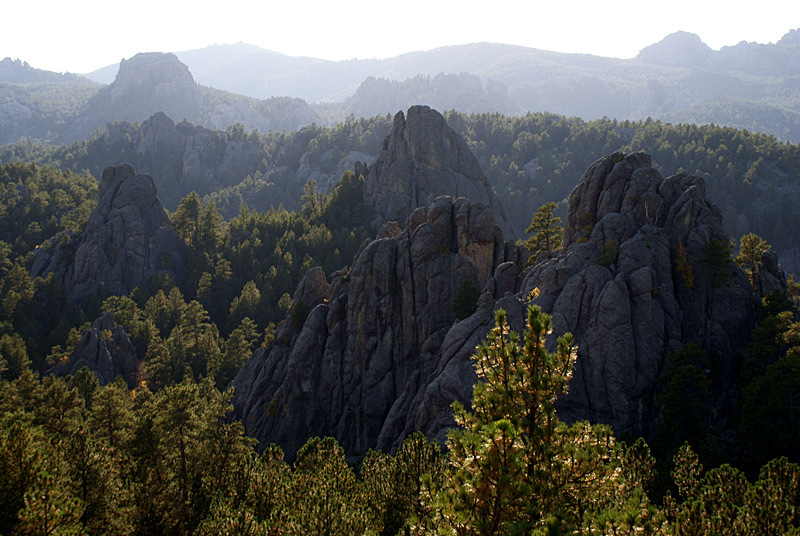 This is in the Black Hills National Forest. 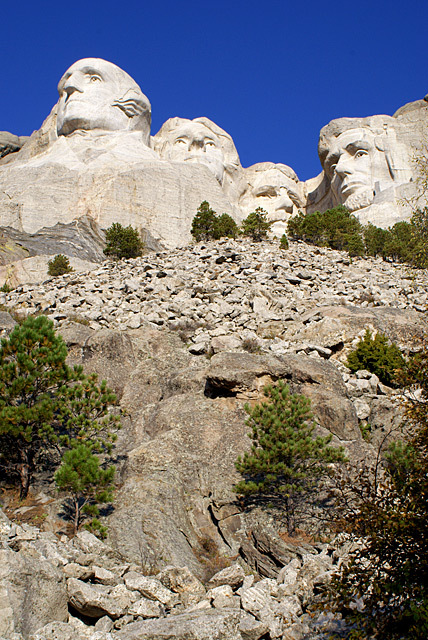 No trip to the Black Hills would be complete without a visit to Mount Rushmore National Monument. This picture is taken from the highest point on the Presidential Trail.